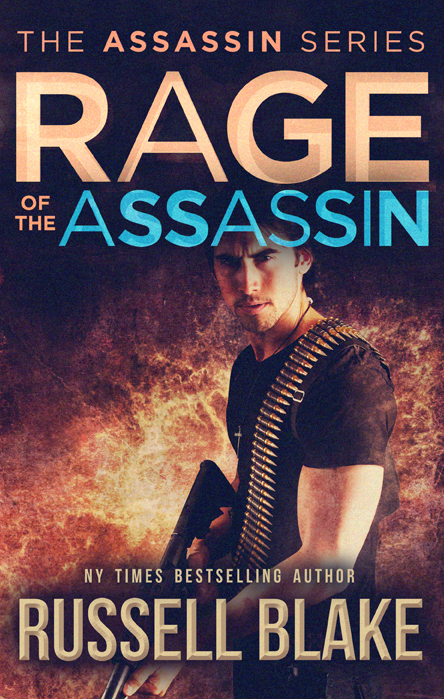 Rage of the Assassin, the final installment in the Assassin series, which began with King of Swords (if you don’t count Night of the Assassin, the prequel), is now available for preorder on a November 17th release date. The Assassin series was my first, and it did rather well since first launching almost four years ago. Continues to sell briskly, for which I’m grateful. Not much else to say about it except that it’s chock full of twists, turns, reversals, and the unexpected. I rather like how it’s turning out thus far (I’m in the middle of writing it), and anticipate it will be a reader favorite. Here’s the cover. Probably wouldn’t hurt to preorder it. Just saying. I made a decision yesterday, when I saw the number of page reads I’d netted in the first month of Amazon’s Kindle Unlimited 2.0 rollout. The decision was an easy one. I want to find, more than anything else, new readers. I’ve given away probably close to a couple of million books, I’ve sold a boatload, I’ve blogged, done more interviews than Ali, promoted, marketed, etc. But I’ve never had a JET novel in KU. Why, you ask? Simple. I sell a ton on other platforms, so can’t afford to have those books exclusive to any one vendor. It’s not a vote against Amazon, who I love like a sibling that controls my pursestrings. It’s a vote for diversity, which is, in all things, generally good. Were Apple to offer a similar program, my decision would be the same. I have about 25% of my backlist in KU at present. This ups it, but for the better, because the current payout is reasonable, meaning that if readers plow through the books (and I’ve done my job as an author and written something compelling enough to make them want to), I make as much as a sale. Perhaps more. As with all things Amazon, it depends. But it’s close enough for me to shrug and put em in for 90 days. So folks who are members of the KU program can now read them free. Which hopefully will translate into more readers familiar with my work. Which will then theoretically lead to more sales of the series, which aren’t in KU, and won’t be. We’ll see how the grand experiment goes. In other news, JET – Kindle Worlds has been ramping up, and sales are brisk (I’ve read a few of the offerings, and am generally impressed by the level of the authors writing in the world. I’m one lucky dude). I’m pretty jazzed about that, because one never knows with a new thing – you have to keep experimenting, understanding that 90% of what you try is likely to fail. Entrepreneurs, and authors, depend on the 10% that succeed. It’s the exceptions that keep us going. In a business of exceptions. Here are the links for the Ops Files books: JET – Ops Files, and JET – Ops Files II, Terror Alert. They’re what I used to call “cracking good reads” – books that move like a freight train, don’t take themselves too seriously, and are as fun as caramel covered popcorn. They do not attempt to be Tolstoy. If you haven’t read them, you’re in for a treat. If you have, well, September’s right around the corner, and I’ve got my second Clive Cussler novel releasing at the top of the month – The Solomon Curse – and Emerald Buddha, the much anticipated sequel to Ramsey’s Gold, releasing near the end of the month, followed closely by BLACK In The Box in Oct, and Rage of the Assassin in November. So a busy period for me, and hopefully a joyful and prosperous one for you. I’ve finished up BLACK In The Box, and am hard at work on Rage of the Assassin – the final tome in that series. Work is going swimmingly, and I’m delighted with both story lines, as well as the pacing. My publishing schedule this year is a little crazy – Emerald Buddha in Sept along with the paperback version of The Eye of Heaven with Cussler, and the brand new co-authored The Solomon Curse. BLACK In The Box in Oct. Rage of the Assassin in Nov. Maybe something in December, maybe not. A third in the Drake Ramsey series by Feb. All of which I’ll write in 2015. Which brings me to 2016: I’m thinking about releasing The Water Trilogy under the R.E. Blake moniker at some point next year, assuming I write it all. If not, well, I won’t, obviously. I think 2016 will hold at least two Ramsey’s books, and a couple of others, but that’s it. As I close in on 50 novels published, I don’t think I’m suffering from a lack of my work being available, so see no reason to kill myself on more than a novel every quarter, which in trad pub circles would be considered near miraculous, and for me would be a vacation. I’m pleased to see that the JET Kindle Worlds launched with a bang, and several of the offerings are top ranked in both the Kindle Worlds store, as well as their genres. Doesn’t get much better than that. Beyond which, I’ll be traveling a lot over the coming few months as I check out new places to live. Getting bored with Baja after a dozen years, so off in search of greener pastures. Life is an adventure, right? Thanks for the continued support, folks. Been a hell of a four year ride. Looking forward to the next four, assuming an irate husband, my bad attitude, or questionable liver doesn’t do me in first. Emily Kimelman Does JET Kindle Worlds! Emily: Sean Fitzgerald, the acquisitions editor for Kindle World, got in touch after reading my Sydney Rye series. He felt that Sydney Rye and Jet would have a lot in common. After reading the first Jet book I agreed and decided it would be really fun to write a novella with these two powerful female characters. Turns out I was right. IT TAKES TWO was a blast to write. Emily: My novella takes place about two weeks before Jet fakes her own death. Her and Sydney Rye are on opposite sides, with Jet responsible for assassinating someone Sydney Rye is charged with protecting. Emily: IT TAKES TWO is a face-paced action and adventure story. My Sydney Rye books fit into that same genre, however, they are written in first person and I followed in your footsteps, writing IT TAKES TWO in third person. Emily: My story starts in Peru and ends up in Istanbul. I love to travel and usually set my books in far off, exotic locations where I’ve spent some time. My Sydney Rye books take place all over the world as well so it made sense for both these characters that they’d be in a few far flung locals. Russell: Tell us a little about your main character(s). Why do you think readers will like him/her/it? Emily: My main characters are Sydney Rye and her dog, Blue. People like Sydney Rye because she is tough but vulnerable. And because her sense of justice is awesome. People like Blue because he is the best dog to ever live. He is obedient, a fierce protector, brilliant, an amazing cuddler and adorable. What’s not to love? Emily: I included Jet because her and Sydney have so much in common. I couldn’t wait for them to meet. Emily: The major theme in IT TAKES TWO is justice which is also one of the most central themes in my Sydney Rye series. Emily: I am very dyslexic, to the point that I had to attend a special school in order to learn how to read, so my Dad read aloud to me until I was 1 1 (when all the squiggles finally started looking like words). I fell in love with books in part because my Dad really made them come alive. Also, since I couldn’t read for so long I was really obsessed with books by the time I figured out how to read. The first book I read myself was an Agatha Christie and the mystery genre has been my thing ever since… though now I like a lot more violence in my stories. Because I had so much trouble learning how to read it never occurred to me that I could be a writer. After I graduated high school I took a few years off and traveled the world working as a photographer which is when I figured out I didn’t actually want to be a photographer. So I went to college and wasn’t sure what to study despite my friends and family encouraging me to write, until one day I read a really bad book. It was so bad that I thought, you know, I can do better than that. And so I did. Russell: Do you have a background related to your writing? Interests? Emily: In the first book Sydney Rye is working as a dog walker. I have experience working as a dog walker. In fact, walking dogs is something I still do today, though no one pays me anymore. Besides my fascinating foray into the world of dog walking I’ve worked as a photographer, bartender, waitress, and as an intern at a Private Investigation firm. But I spend most my time and energy planning my next trip. Travel is my favorite thing to do. My husband proposed to me in JFK long term parking (get it “long term”). We are dedicated to having lots of adventures around the world and that’s what we’ve worked on for the last decade or so. In fact, my Sydney Rye series is kind of just a big excuse to travel. The books take place all over the world… so obviously I need to do my research. Emily: My seventh Sydney Rye book, SHADOW HARVEST, launches on 8/8 and I’ve started writing the eighth.